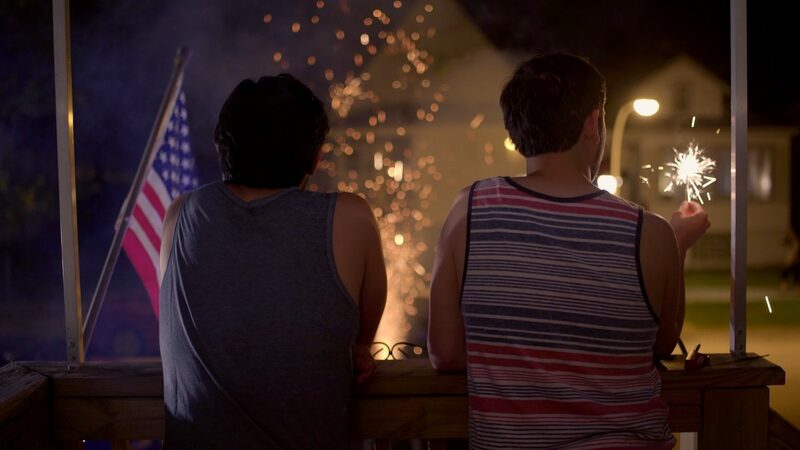 Set against the background of a broken U.S. immigration system, En Algun Lugar is a love story between two young men, Abel & Diego. When tragedy strikes and Diego’s immigration status is revealed, Abel and Diego discover the power of love during uncertain times. Tadeo Garcia studied a variety of film techniques at Chicago’s Columbia College. It was there that he started with an interest in the arts, particularly animation. After his first initial run with traditional animation in both the sketching and the stop motion disciplines, he was required to take a live action film course. With only a Bolex camera and some very intrigued actors, he released his first award-winning short at Planetout’s short film festival titled “Broken Warning.” It was then he was encouraged by fellow screenwriter, Roger B. Domian, to pen out and shoot a script for the feature film “On the Downlow” (2004). The take on “Broken Warning” was the same. Two gay Latino gang members struggling to come out through cultural machismo and urban violence was a festival circuit hit garnering awards and accolades while still grabbing the attention of audiences ranging from everyday individuals to academics alike. “On the Downlow” traveled the film festival circuit and eventually brought on yet another award for the filmmaker from the Newfest Film Festival in NYC. From then on Tadeo has drawn up more intrigue from fellow actors to premiere in his films. Although known as one of those artists who waits for the right moment and subject matter to feature in his films, he has taken things slowly with this art form as a way to test the boundaries and the limits it puts on an independent producer/director. Tadeo continues igniting a film career known for tackling an array of subjects. Since the success of “On The Downlow”, Tadeo has worked on a variety of artistic and commercial projects incubating ideas for his next passion project. A little over ten years ago, after having a conversation with a friend about a relationship with his undocumented boyfriend, Tadeo began formulating the idea for “En Algun Lugar”.